January 15th in Wordpress Plugins by Wordpress Jedi . WooCommerce makes selling your own physical and digital goods online easy. In certain cases, it makes sense to offer weight-based shipping for physical products. 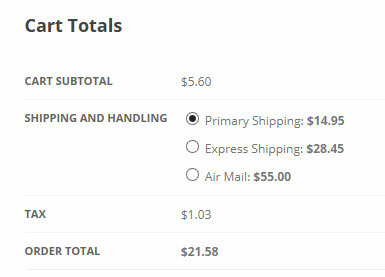 WooCommerce Weight Based Shipping is a simple extensions that lets you add multiple shipping rules to account for heavier products and different destinations. 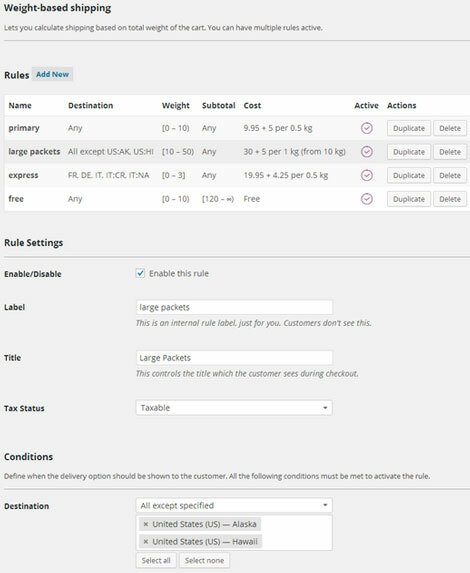 WooCommerce Weight Based Shipping lets you create shipping rules for different weight and subtotal ranges. Your prices can be adjusted based on cart total. It is also possible to offer free shipping when certain conditions are met. Want to limit total costs? No problem. This extension may prove useful to those of you who have products in various sizes, shapes, and weights in your store. It is a free script.